32 Hours of Laptop Usage Unplugged? "As you may have read, I spent last weekend with an HP EliteBook, an extended battery, and a challenge to use it for 32 hours without plugging in. That may seem like a pretty lofty goal for a laptop, but as you can see from the pictures below, the machine had some pretty serious battery action going on." Not exactly an Ultrabook, but 32 hours of usage unplugged and untethered? An interesting trade-off, weight for usage. 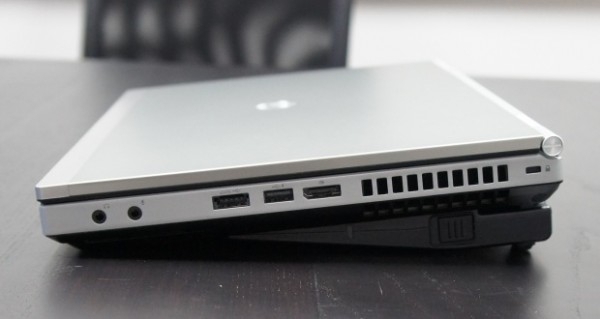 During the real test, after two hours of usage, battery life was at 93%, using an extended laptop battery and HP's Ultra-cell battery, seen in the picture underneath the HP EliteBook 8460p (4.56 pounds with a 14-inch screen). Even after quickly following a few links and tweets, I wasn't able to find a final answer as to whether or not 32 hours was reached - last I saw was 83% battery life still available after about seven hours of "regular" use. In any event, some extra weight and money get you pretty incredible battery life.